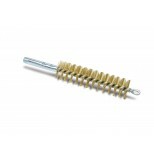 This extensive line of Brass Wire condenser tube and heat exchange brushes are available in three other different bristle materials, filled with your choice of Hi-Carbon Steel, Stainless Steel, or Nylon Bristle. 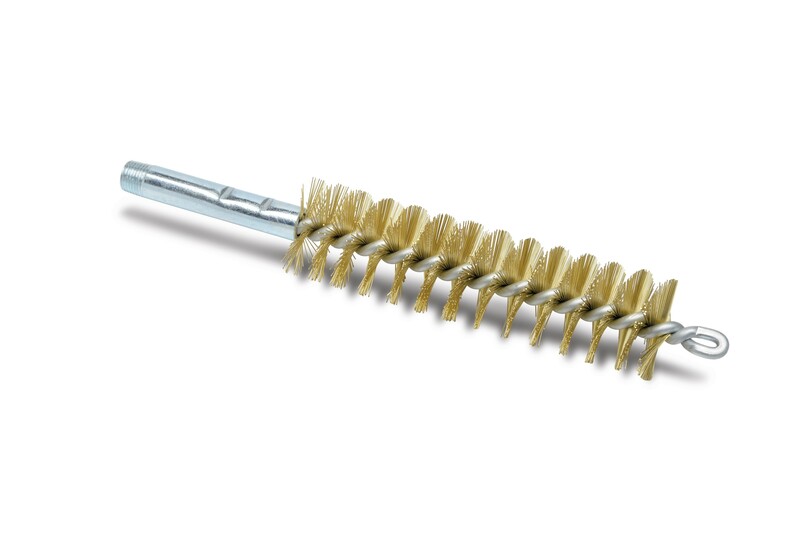 Each brush is constructed using a galvanized steel single stem, single spiral brush style with a threaded continuous end at the bottom of the brush. Every brush size has an 1/8 NPT outside and a 5/16 - 18 Internal thread, except for Item 06612 - 3/8" diameter, which has no external outside threads, only a 5/16 - 18 internal thread. We offer a wide variety of accessories that can be used with these brushes such as Fiberglass Extension Rods, T-Handles and Flex Connectors. These are American Made brushes, manufactured to the highest quality standards.